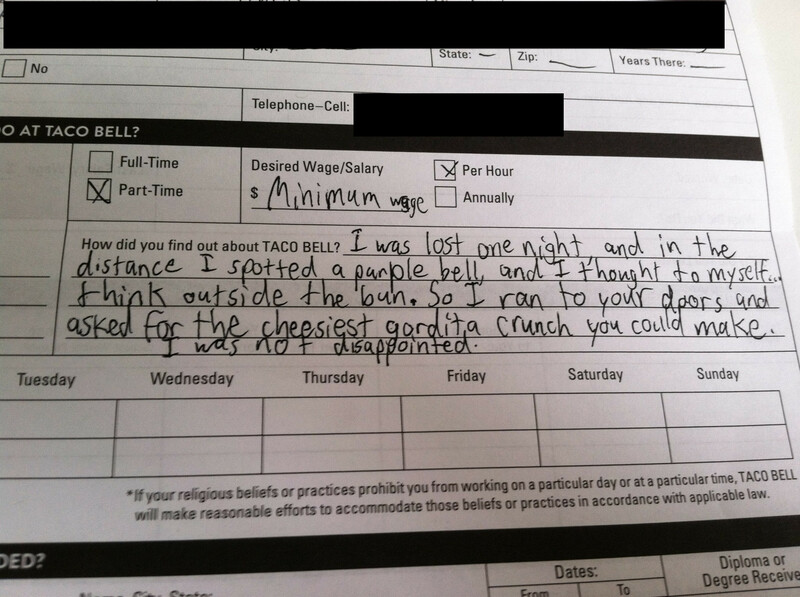 You just never know what’ll take off… that Taco Bell application, which I’m sure is fake, has over 2 million views on imgur. Good for you, internet. This entry was posted in News and tagged taco bell, taco bell application. Bookmark the permalink.